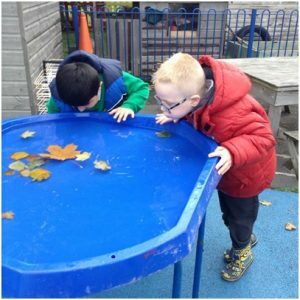 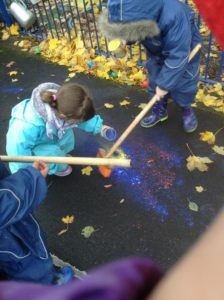 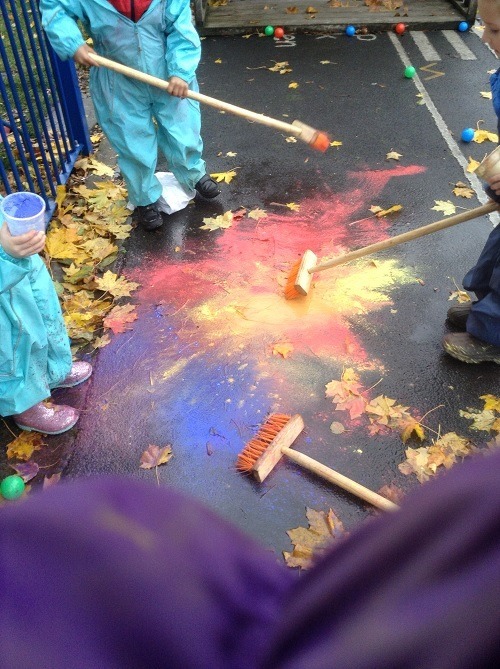 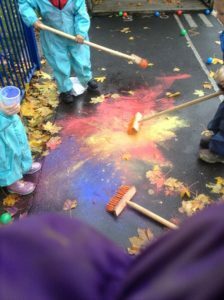 This half term we have been learning about Autumn celebrations and events. 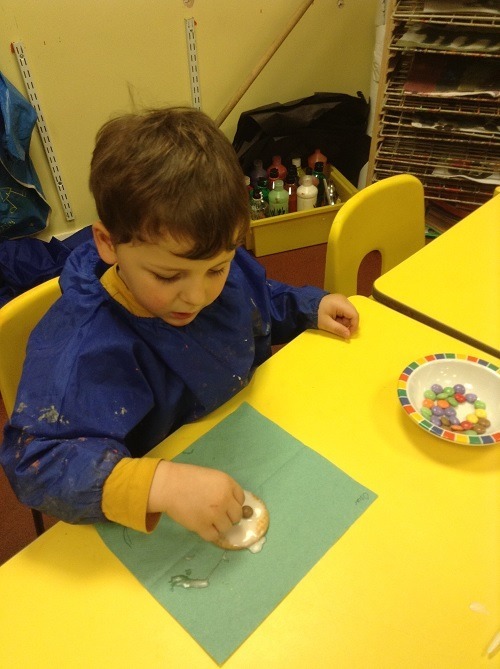 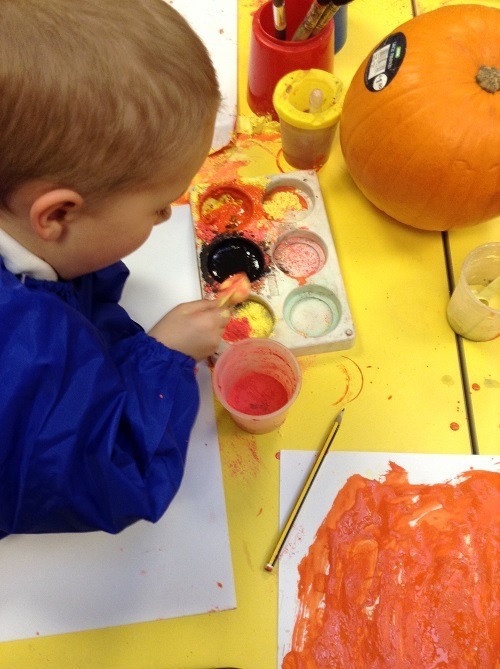 We have learnt how to mix colours with paint, including orange for our pumpkin pictures. 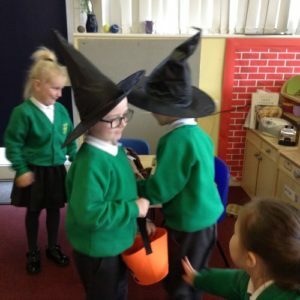 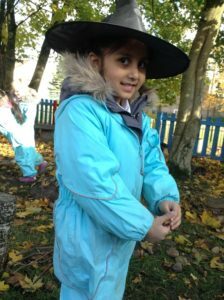 We learnt a song a about a “hairy scary castle” and decorated our role play house for Halloween. We enjoyed practicing our counting skills to estimate and count the trick or treat treats. One morning a spider’s thread appeared in our class! We followed it and found lots of animals, but the spider had gone he was too busy. 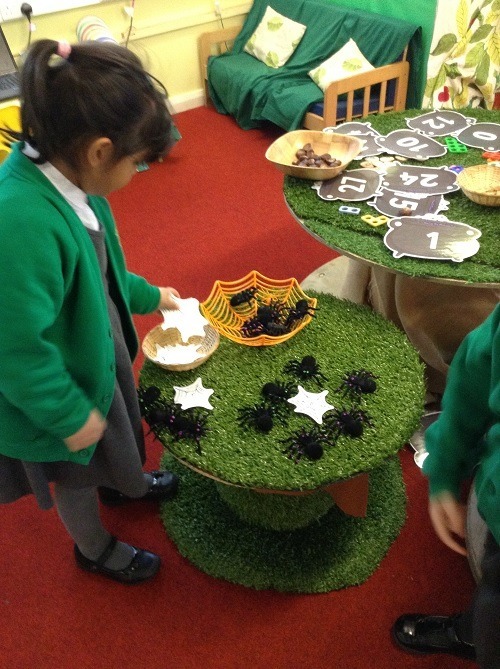 We learnt a story about a “Very Busy Spider” by Eric Carle. 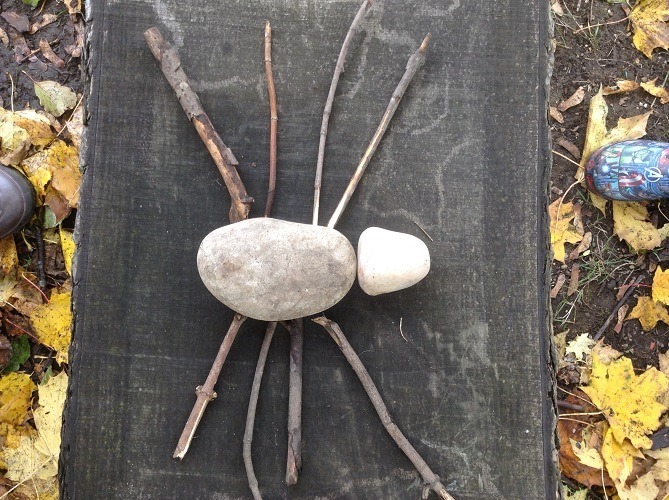 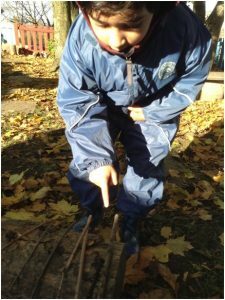 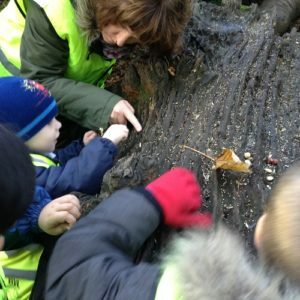 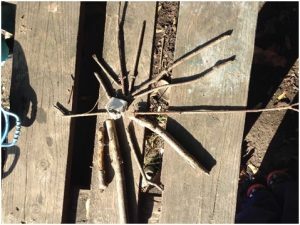 We made our own webs and spiders at Forest School. 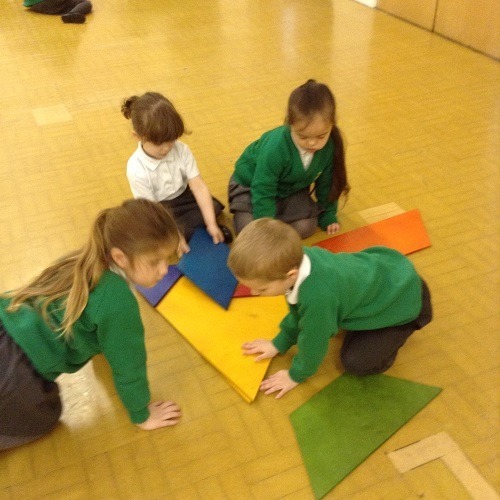 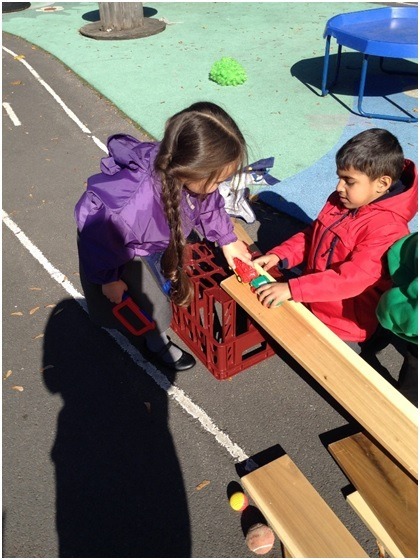 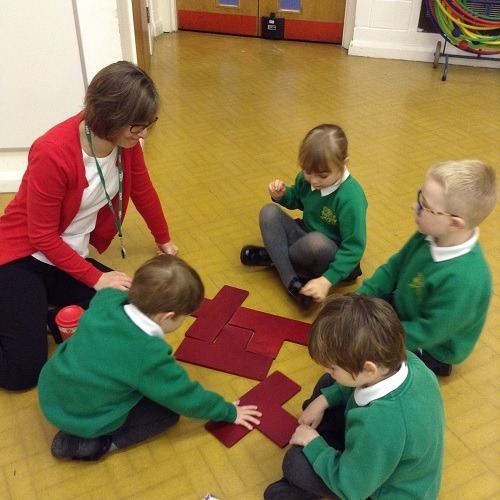 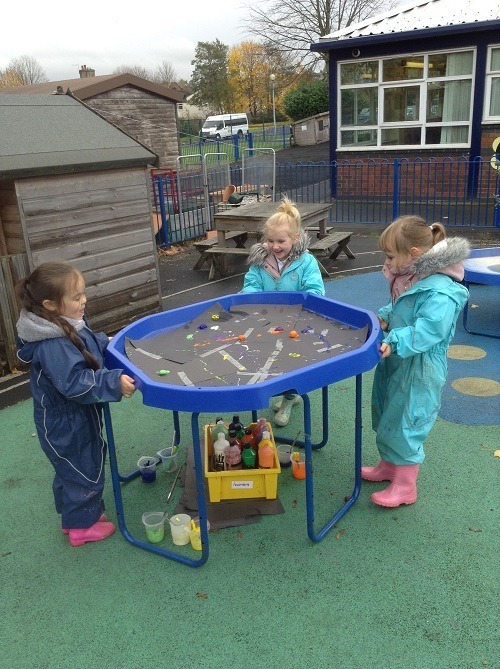 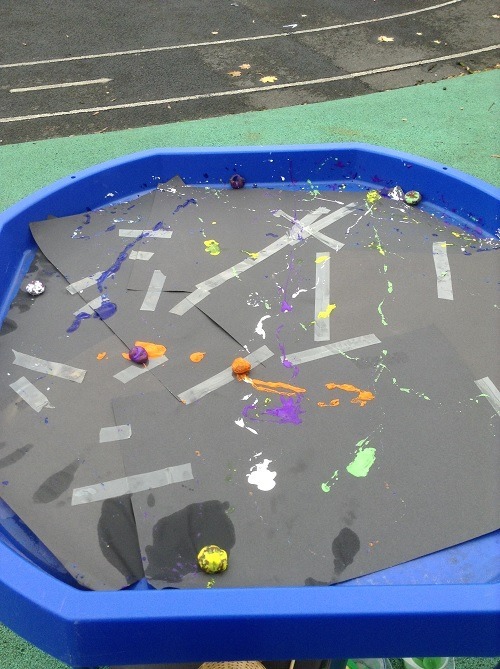 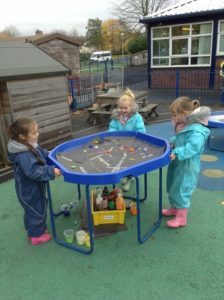 This involved developing our physical skills and collaboration. 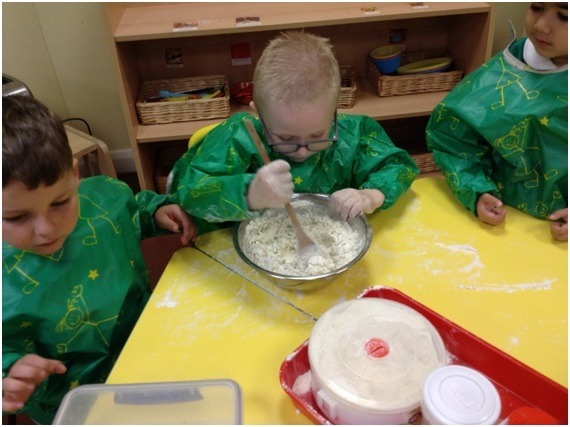 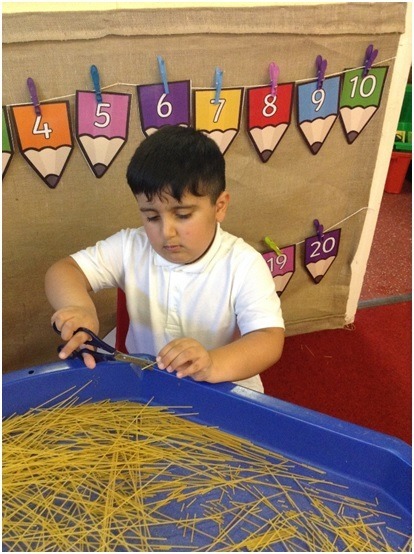 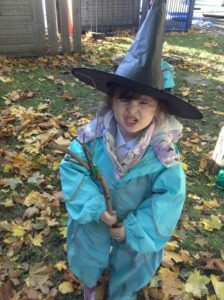 We also made brooms in response to the story “Room on the Broom” by Julia Donaldson. 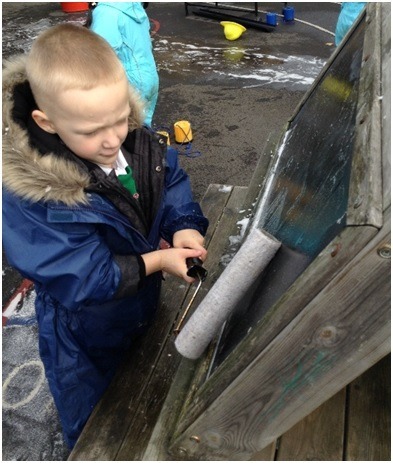 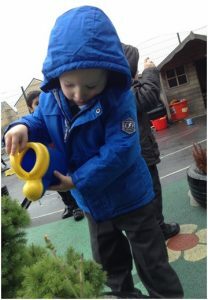 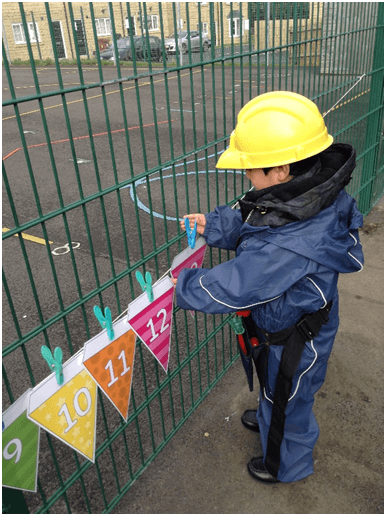 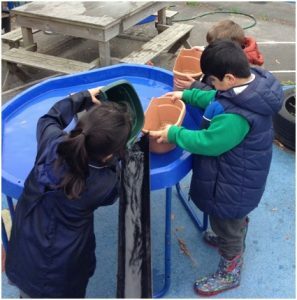 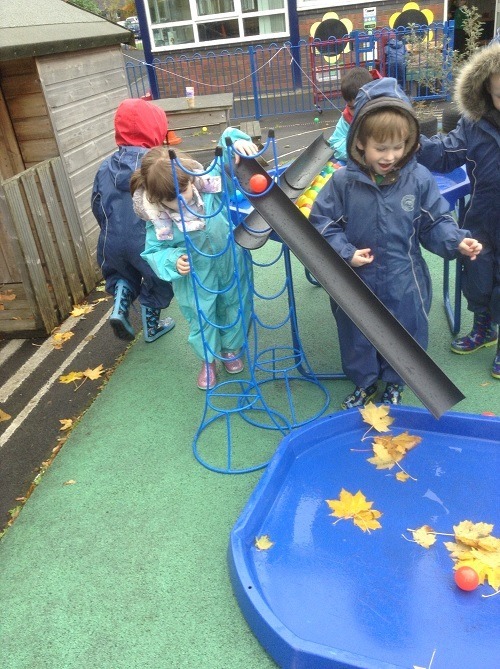 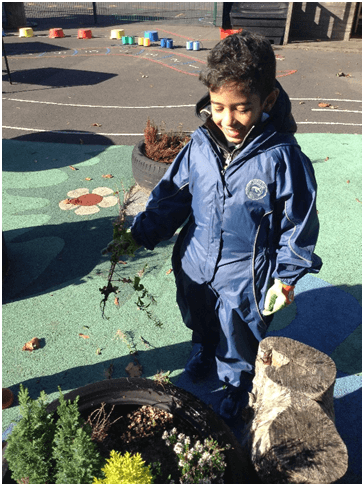 We had an outdoor challenge set to get the balls down the spout just like Incy wincy spider. 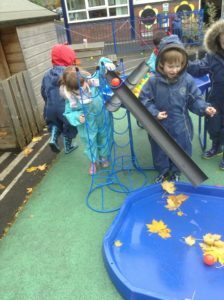 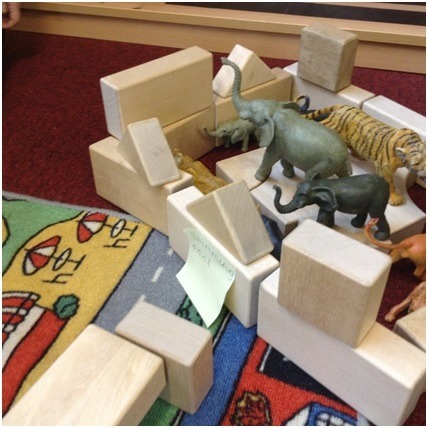 This involved lots of problem solving and team work. 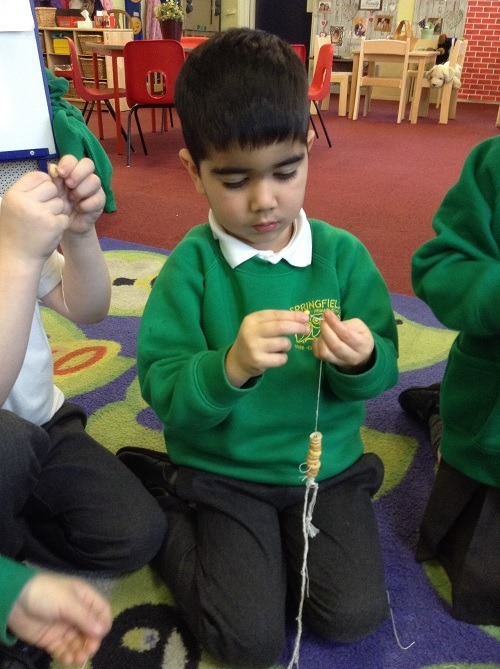 We watched video clips of firework sounds and made our own voice sounds and actions. 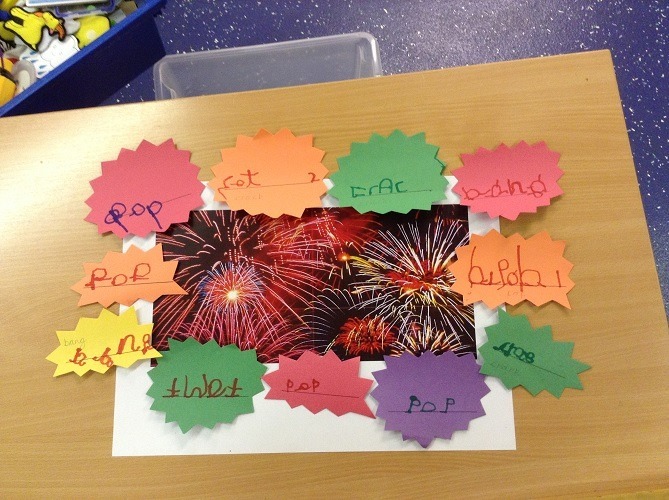 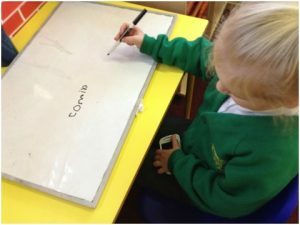 We used our phonics to write words that described the sounds of fireworks. 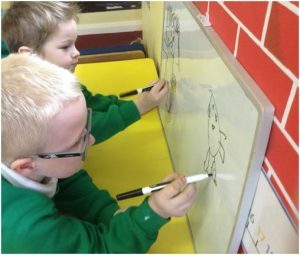 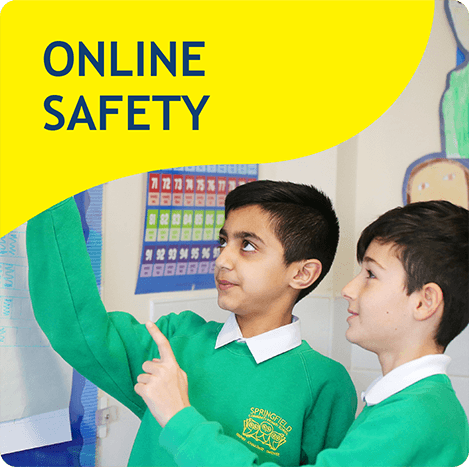 We created lots of firework pictures on different scales, including using the computers and paint. 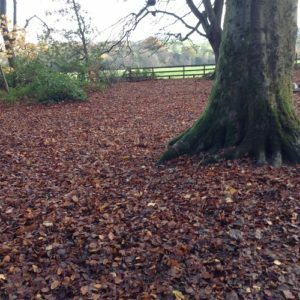 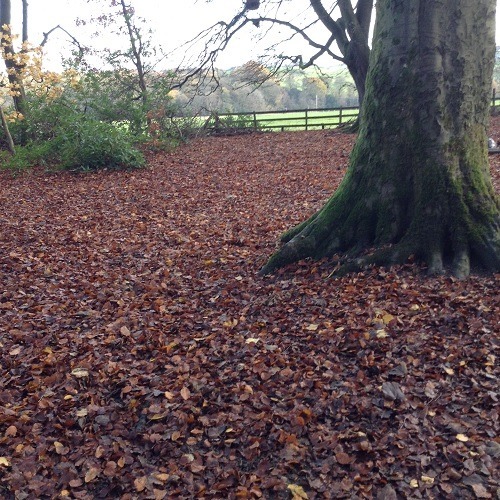 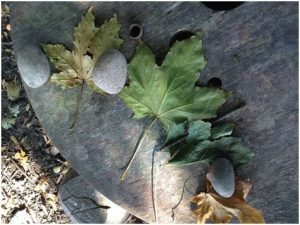 We had a lovely walk in Towneley Park where we spotted lots of signs of Autumn. 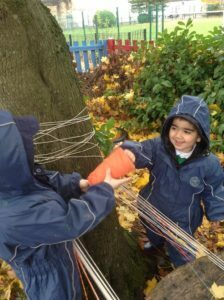 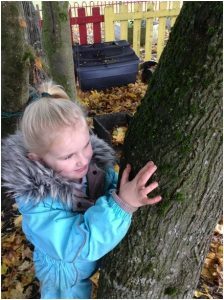 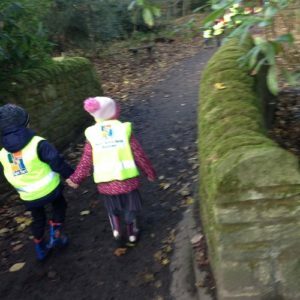 We made lots of things at forest school linked to Autumn, including bird feeders. 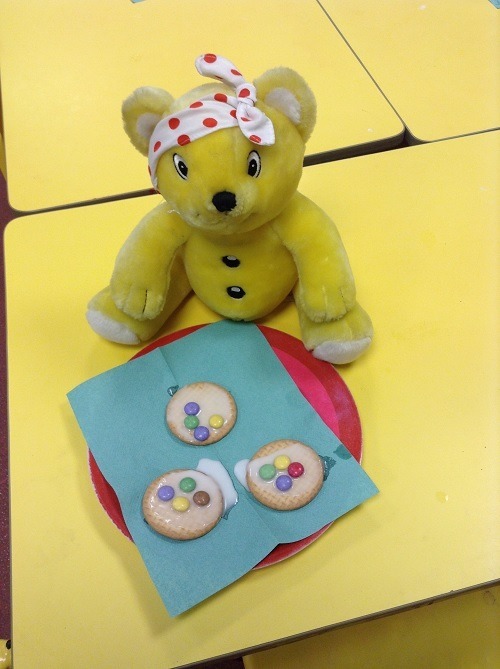 We celebrated by making spotty biscuits and raising money with a non uniform day. 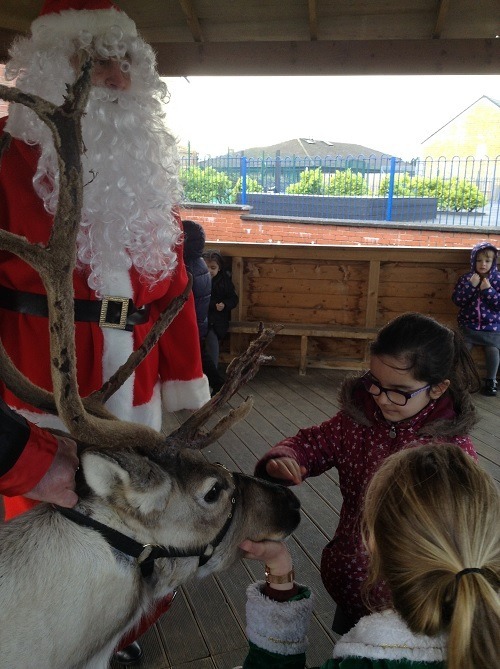 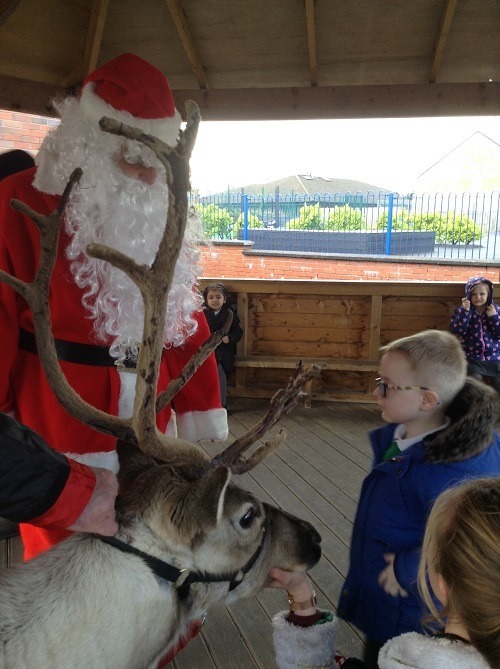 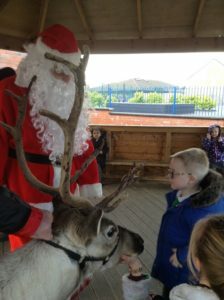 We are having lots of fun making a sleigh for Santa, decorating the role play house, writing Christmas cards and we even had a visit from Santa and his reindeers. 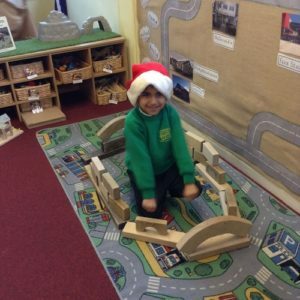 We all worked really hard learning our words and songs to perform The Nativity. 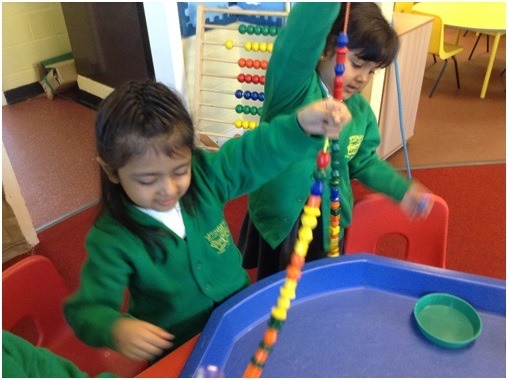 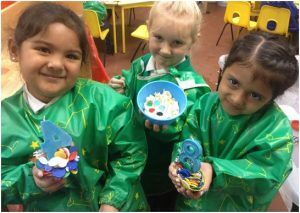 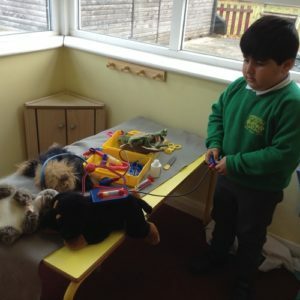 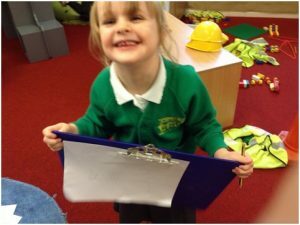 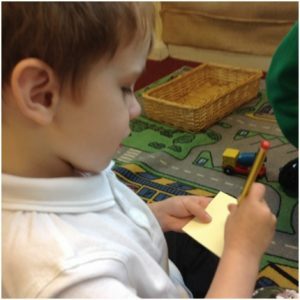 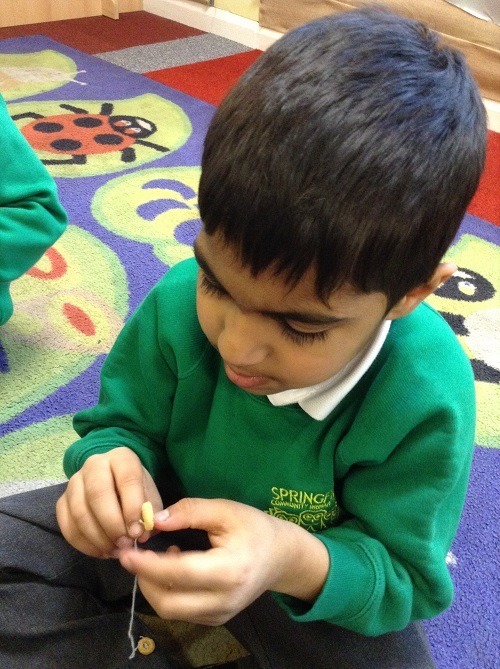 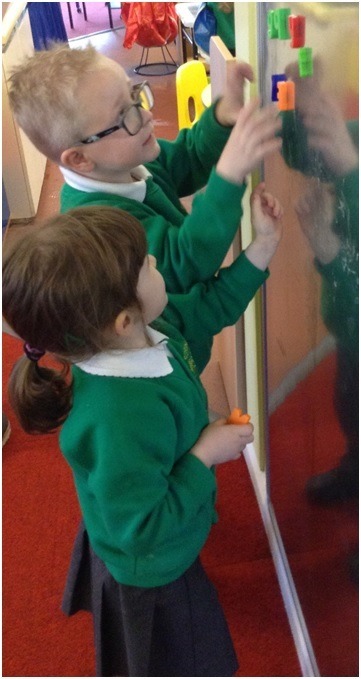 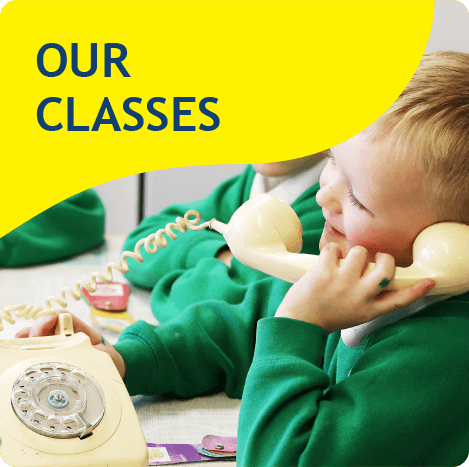 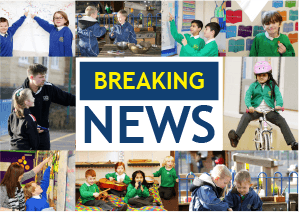 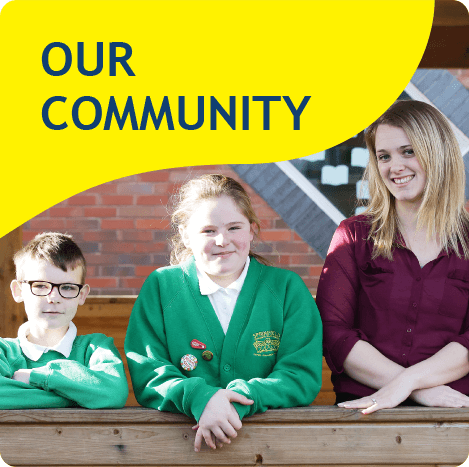 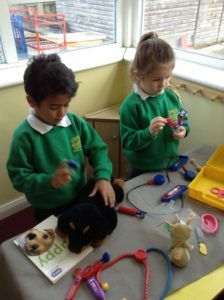 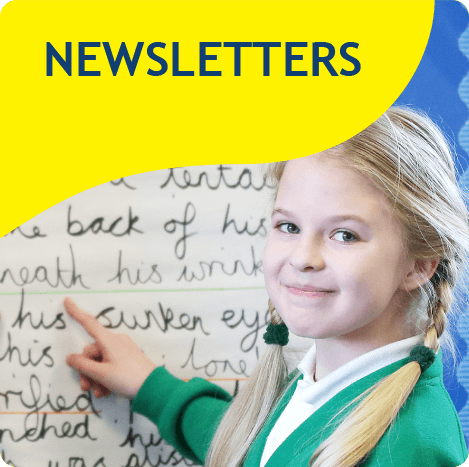 We do lots of lovely learning indoors too!